The Information & eGovernment Authority (iGA) congratulates its employee Khaled AlBastaki – Administration Specialist at the Human & Financial Resources Department in iGA – for achieving a number of achievements in sports including the gold medal in 5th West Asian Weight Lifting Championship (last March) along with the Bronze Medal during the 1st West Asian Weight Lifting Inter Club Championship held last December in Bahrain. 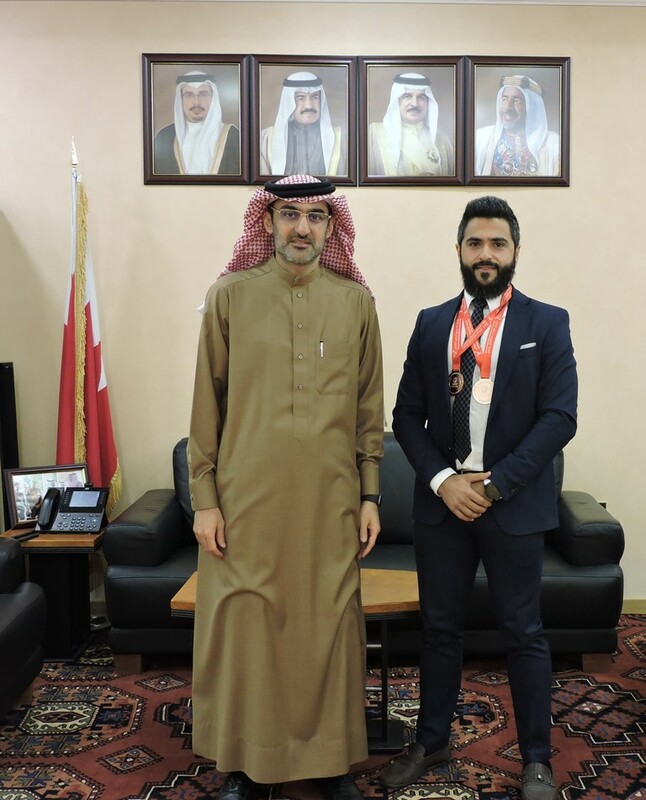 On such occasion, iGA Chief Executive Mr. Mohamed Ali AlQaed received Mr. AlBastaki to congratulate him for his achievements across his participation in several local championships where he was able to grant gold and bronze medals. AlQaed also praised such excellent achievement which brings true pride; while stressing that Khaled’s accomplishment is an outcome of the wise leadership fruitful support in sports as well as directives of Shaikh Nasser bin Hamad Al Khalifa – His Majesty the King’s Representative for Charity Works and Youth Affairs, Supreme Council for Youth and Sports Council Chairman and Bahrain Olympic Committee President – to make this year the ‘Golden Year’. 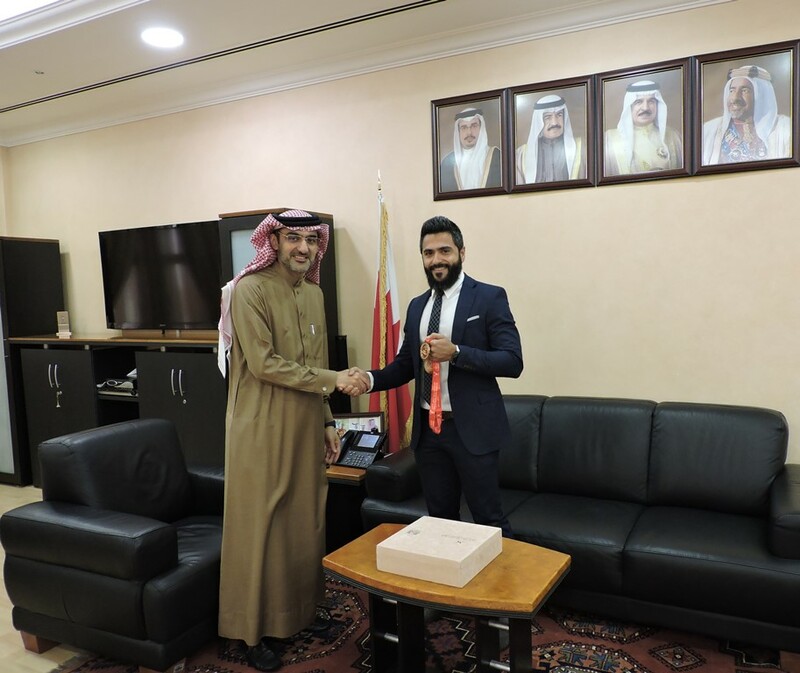 On his part, AlBastaki thanked Mr. AlQaed for this reward while stressing his pursue on achieving more accomplishments and raising Bahrain’s name in the most important future sport events.